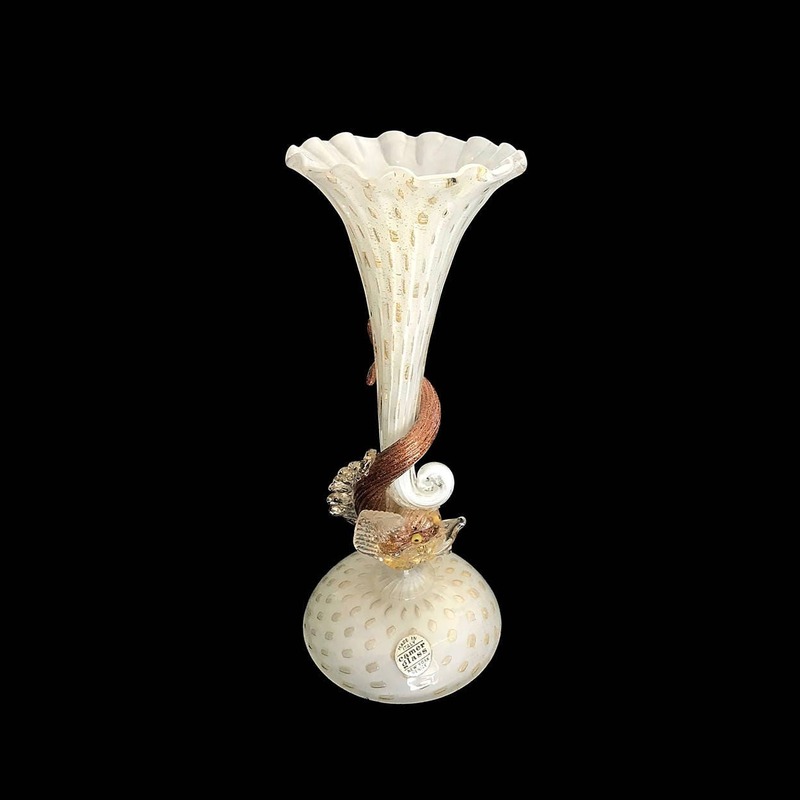 Salviati & Co. helped finance Alfredo Barbini when he opened Vetreria Alfredo Barbini in 1950 and this exquisite circa 1950s "old Venetian style" vase was clearly a product of the Barbini-Salviati collaboration. 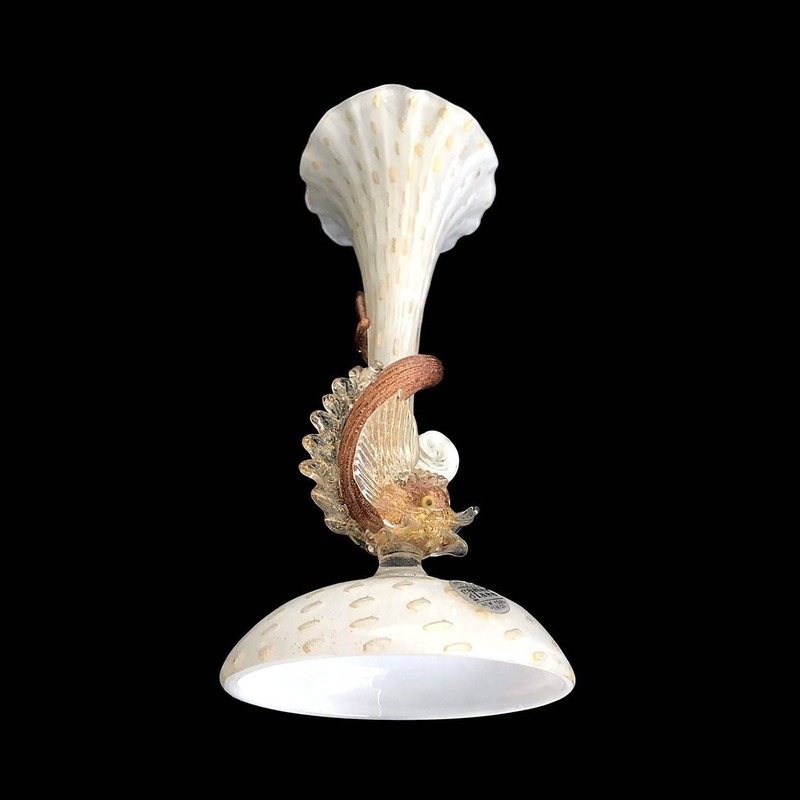 The design SCREAMS Salviati, with the heavily ornate wide-eyed cased glass copper fish | dolphin | mythical sea creature coiled around the trumpet-shaped vase (we have two other similar Salviati pieces listed), but the gold aventurine-flecked bullicante encasing the creamy white lattimo glass is trademark Barbini. The well-intact Camer label (Camer Glass private-labeled and distributed some of the finest Murano glass from the top Masters between the 1950s and 1970s, including Salviati and Barbini) adds further evidence to the 1950s timeline and collaboration hypothesis. This divine beauty is in PERFECT condition with no damage, repairs, etc. And, it SHIPS FREE WORLDWIDE.